The Pretty Serious The Well Meaning But Ultimately Quite Awkward Pet Names Collection just might be the longest name in history for a nail collection, but it’s one you NEED to see! This collection features six new shades, 5 of them are cremes and one is a shimmer. As the name says, they are named after some of the wacky things we call our pets. I have quite the list myself of nicknames for all my animals, want to hear them? Here goes. Sammy nicknames: Sam, Samuel, King Sammy, King Sammy I of Wickinghamshire, Hammy Sammy, Ham Samwich, Sammy the Bull, Sammy Davis Jr.
Honey Puff is a bright buttercup yellow creme. You know how most yellows have a crappy formula? This one doesn’t! It is just a wee bit uneven over nail ridges (so use a ridge-filling base coat) but it covers really nicely with just two coats. Cuddle Bunny is a lavender with silvery shimmer. Such a pretty, soft shade. The shimmer isn’t hidden, you can definitely see it. This was two coats. Sugar Cakes is a neon pink creme. WOWZA! 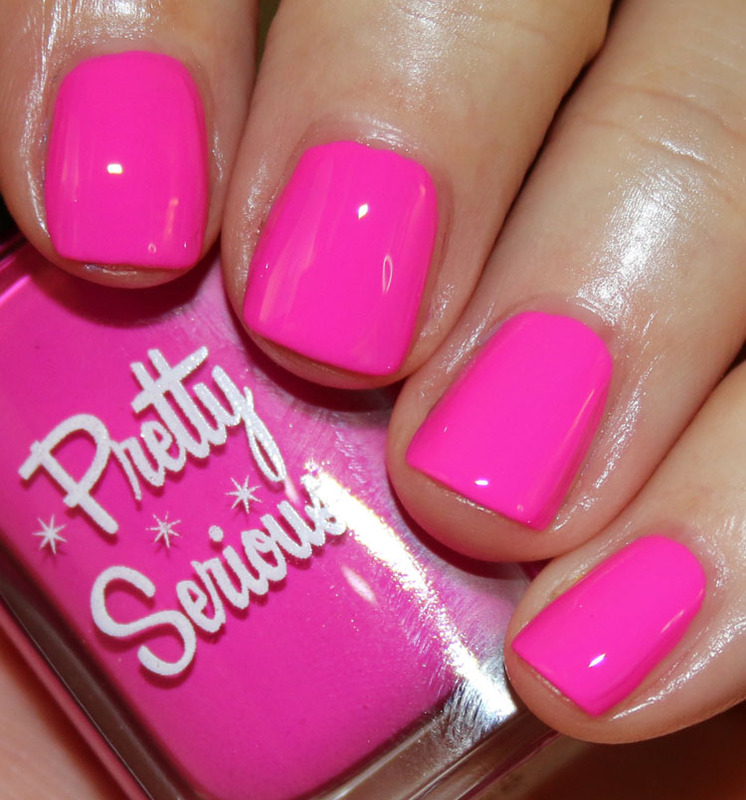 I am seriously in love with this pink. It’s super bright and since it’s a neon it dries matte. This was two coats. I mean LOOK AT IT! I am mesmerized and this rarely happens with a pink. Pookie is a bright aqua blue creme. 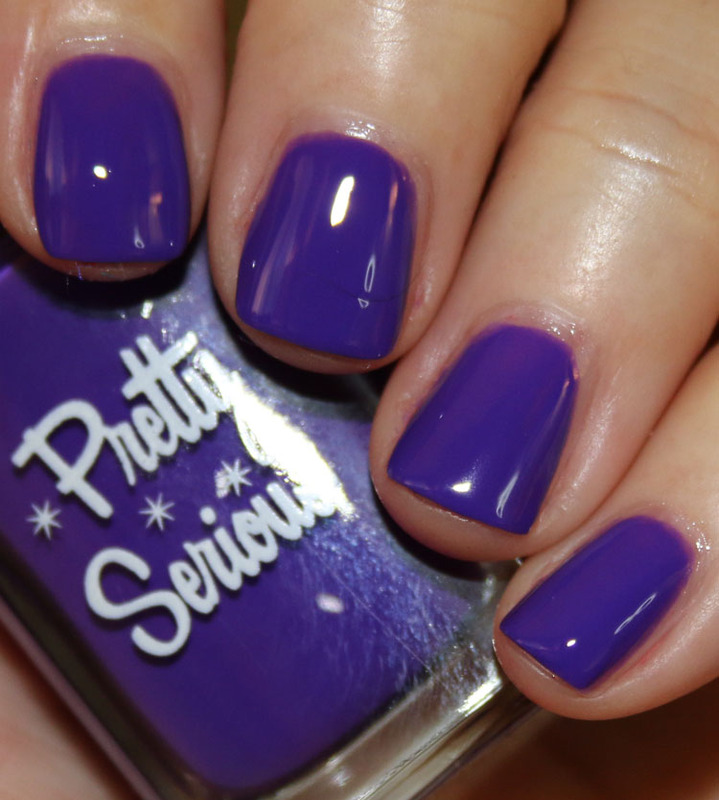 Another seriously stunning shade. 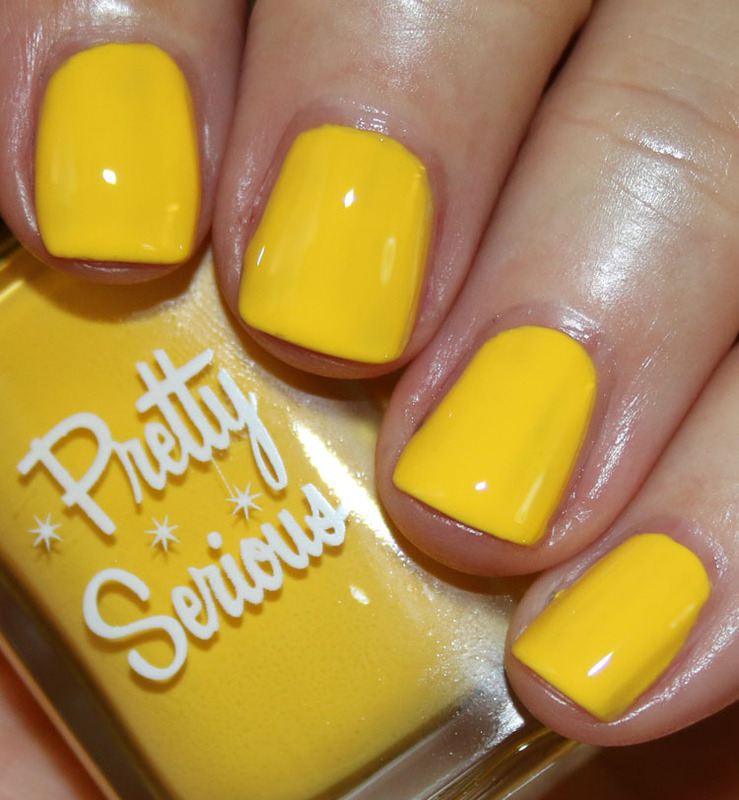 Bright, beautiful and just two coats. Stud Muffin is a bright red creme. 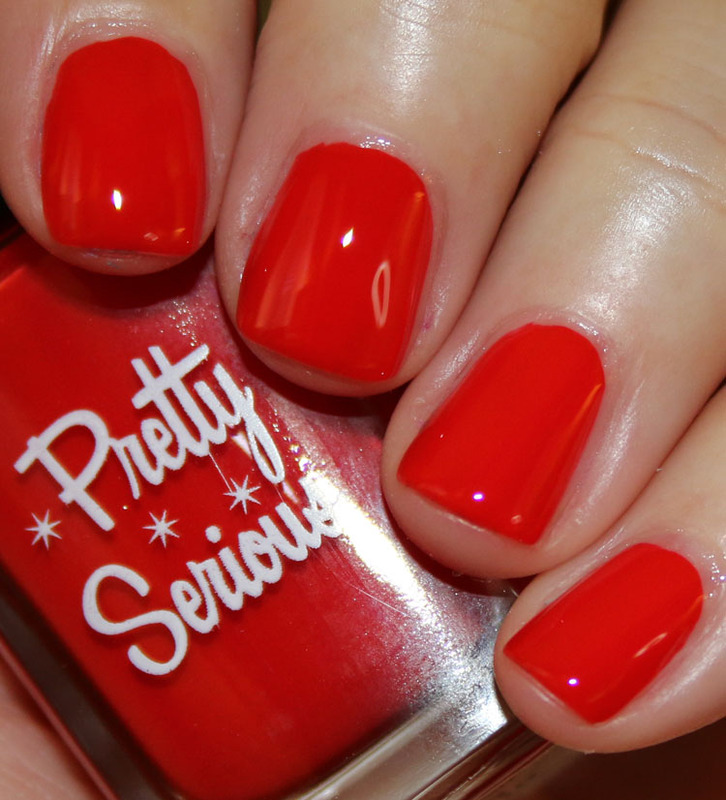 It might just be a standard classic red creme, but it is super clean and shiny looking with just two coats. Snugglebutt is an intense purple creme. This is brighter in person than this photo depicts. It’s super saturated and gorgeous with just two coats. This is one of those collections where there really isn’t any shade I don’t absolutely love. The colors and the formula are outstanding! If I HAD to choose my favorites I would pick Sugar Cakes, Pookie and Snugglebutt, but I think they are all hits. You can find these on the Pretty Serious website or their stockists now. These are all super gorgeous and I love the idea behind it. And because you shared your silly pet names…here are mine. I love these shades. Very festive. These are all seriously gorgeous. If I could I would get them all. Even the yellow, which is usually not the best on me, but something about this one calls to me! I definitely love the names of these, they were really clever! And the shades totally match! My favorite is Cuddle Bunny, I’m a big fan of purples! Those names are hilarious! I love the colors; they’re so bright. Any idea how Snugglebutt compares to Cirque Lean? No sorry, I don’t have that one. The name of this collection! We have a ton of nicknames for our pets! Elroy (this isn’t a complete list): Leroy Jenkins, Professor Huffybottom, Dr. Nippy, BattlePig, The Pig, Sir HuffyPants, HRH, HRM, Falcor, and Balrog. Elrizzle, and my neighbor’s daughter calls him Er-lay and he answers to it. She’s trilingual and has a speech impediment. Luckily, we lived in Germany and spoke German enough at home he understands it almost as well as English. When she lets loose in Portuguese, he’s a bit lost. Weedgie: Squeegee, Squeeglet, Weedge, Weedgelet, Weedge 2000, Weedge-a-tron, Cat and, Catface. pookie & sugar cakes look AMAZING ! I totes misinterpreted the intent behind the name of this collection. I took it as the awkward pet names you give your significant other. lol! Beautiful swatches though! I ordered these on launch and loved them! The colors are stunning – I like Cuddle Bunny. I usually call my cocker spaniel my cuddly boy (oye, did I just admit that?). My cats name is blaze. I like to call him blazey bum, lazy blazey, possum head, spaz head and bum bum ?? 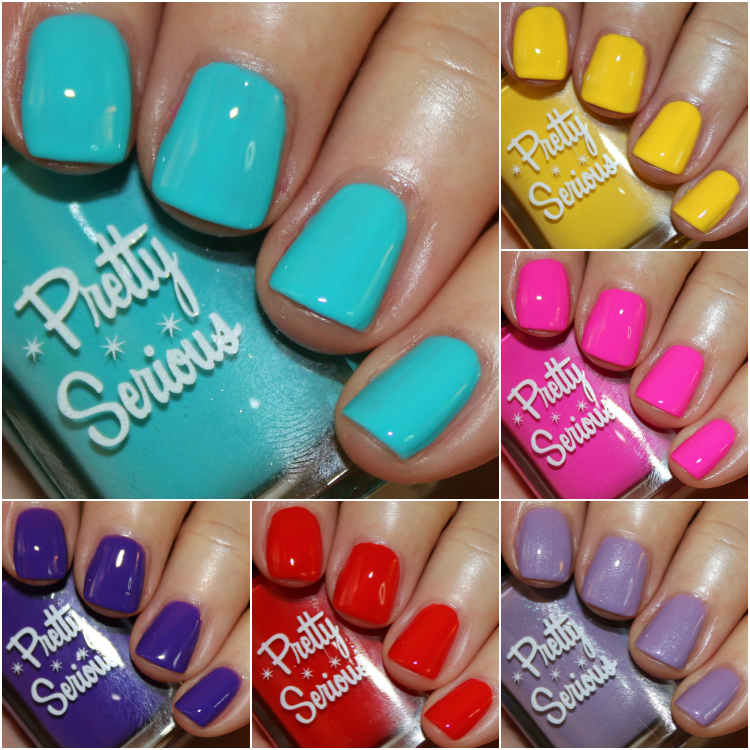 I love this collection– great names and great colors. Honey Puff and Cuddle Bunny are probably my faves, but I like all of them!